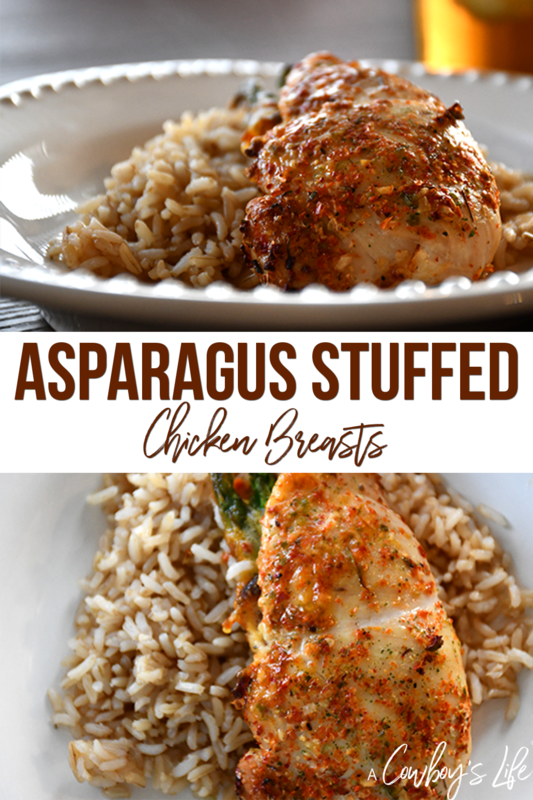 Looking to change up your dinner menu than you need to try these asparagus stuffed chicken breasts! 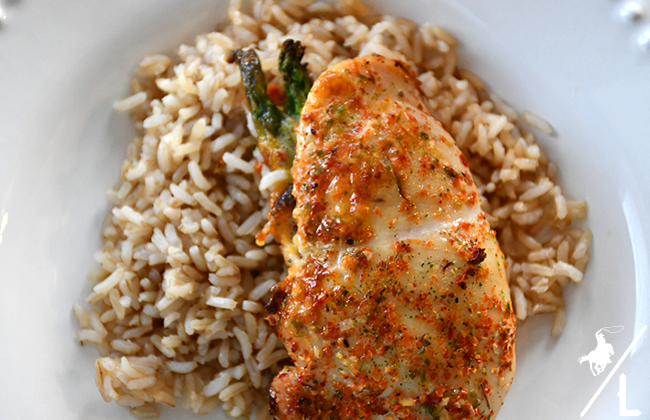 Serve with brown rice and you have a complete meal. Every now and then, I have the urge to cook up a fancy meal. 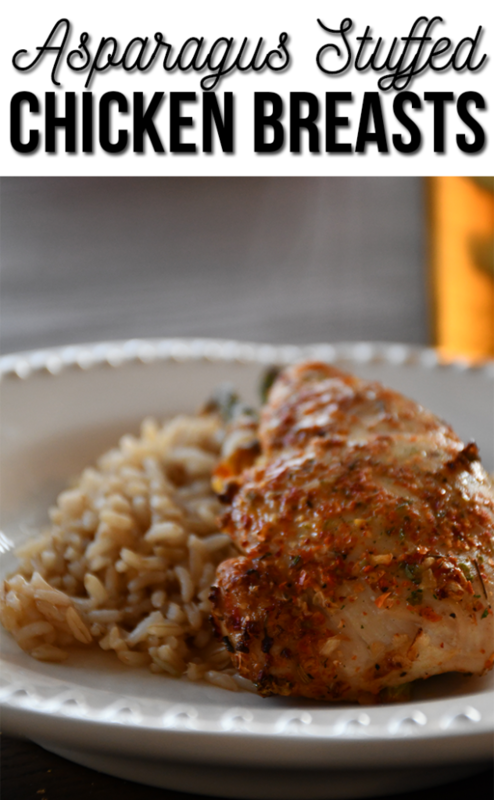 It can be hard to change up the dinner menu or add new dishes when you are cooking for a little kid. Especially one who wants to live off mac and cheese. 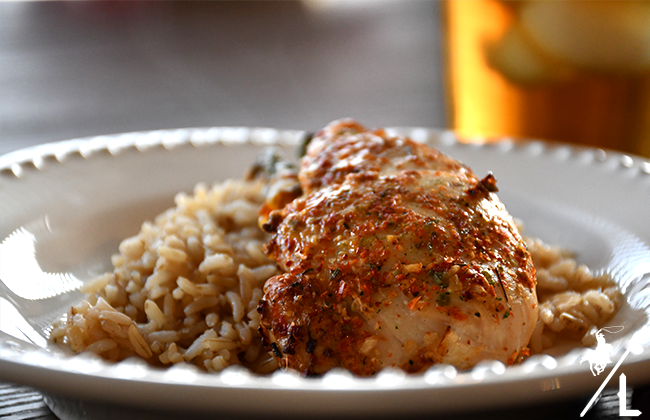 But this past weekend I made asparagus and cheese stuffed chicken breasts and they were AMAZING. Prep time was under 10 minutes and only took about 15 minutes to cook. Yay for under 30 minutes dinners! Served with brown rice and you are set for a delicious meal. 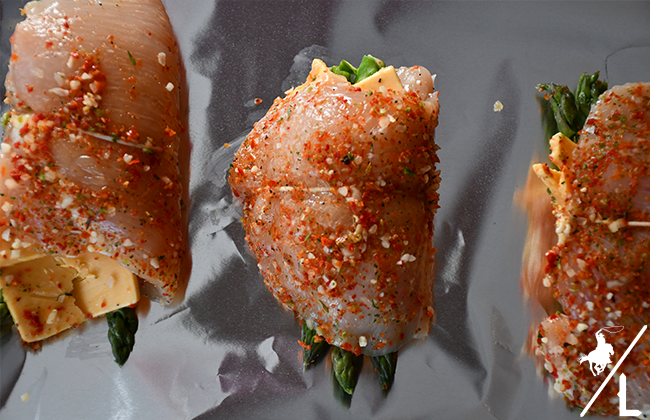 Cut the chicken breast in half to create a pocket. Add the asparagus and cheese, fold over. Add all season together in bowl and then sprinkle mixture over the chicken breast. Place in over and bake for 20 minutes. This sounds delish. I am definitely trying it for sure!